If there’s any drawback to summer in western Montana, it’s that there’s actually too much to do. We spent the first half of the warm-weather season preparing for last week’s Missoula Marathon; now, race behind us, we’re looking forward to hammering away at a long list of to-dos between now and when the snow starts to fall. That all started this past weekend with the Bob Marshall Music Festival. Now with two years under its belt, the best thing about this fest is that it combines the best of all our favorite summer activities: Camping, hiking, floating, racing, mountain biking, and, of course, fooding and drinking. And we haven’t even gotten to the music. A full slate of the best local and regional artists over the course of three full days – there’s nothing like it within an hours drive of Missoula, with the notable exception of Roots Fest. This year’s highlight, or so we thought, was the performance by Deer Tick. The versatile alternative band from Providence, Rhode Island – who once performed an entire set of Nirvana songs as Deervana – opened its extensive national tour in Seeley on Saturday night, and we really enjoyed their electric set. 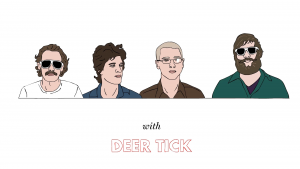 Deer Tick is that the band is currently supporting the release of not one but TWO new albums, each which represents a different side of their multi-varied sound: Vol. 1, which showcases their folksier side; and Vol. 2, which emphasizes their gritter rock leanings. -He took a little time off to greet a newborn daughter and publish an extensive life memoir, but Bruce Cockburn is back – predictably – with his 33rd album, Bone on Bone. 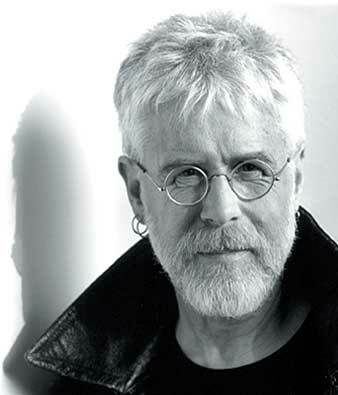 Due Sept. 15, the 11-track collection not only marks Cockburn’s first in seven years – it also coincides with his induction into the Canadian Songwriter’s Hall of Fame. Enjoy a preview and then be sure to catch the legend on his extensive U.S. tour, which kicks off in November and runs through April. –Ha Ha Tonka has a funny name, but their not certainly not fooling around with their newest work. The Michigan band formerly known as Amsterband is currently support its fifth studio album, Heart-Shaped Mountain. Released in March, the album is garnering praise for reflecting a newer, more mature sound “without sacrificing the rambunctious, mandolin-soaked anthems” for which they’ve become known. -He came out of nowhere with the surprise hit single, “Budapest,” in 2014 – and now, after a few years of silence, George Ezra is finally back with a follow-up. Check out Ezra’s recent full-feature interview and profile with NME.com HERE. -Finally, we were told to watch out for these guys – and now we finally get to hear what the hype is all about. 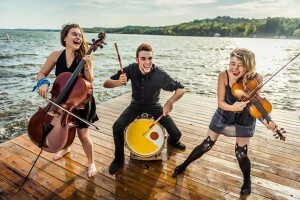 The Accidentals will release their major label debut in August, and if the list of guest performers is any clue this won’t be the last time we feature them on the Trail. The fist single from Odyssey features Keller Williams, but the line-up goes on: Jack White bassist Dominic John Davis, the Decemberists’ Jenny Conlee, Kaki King, Lily & Madeleine, Carbon Leaf and more.